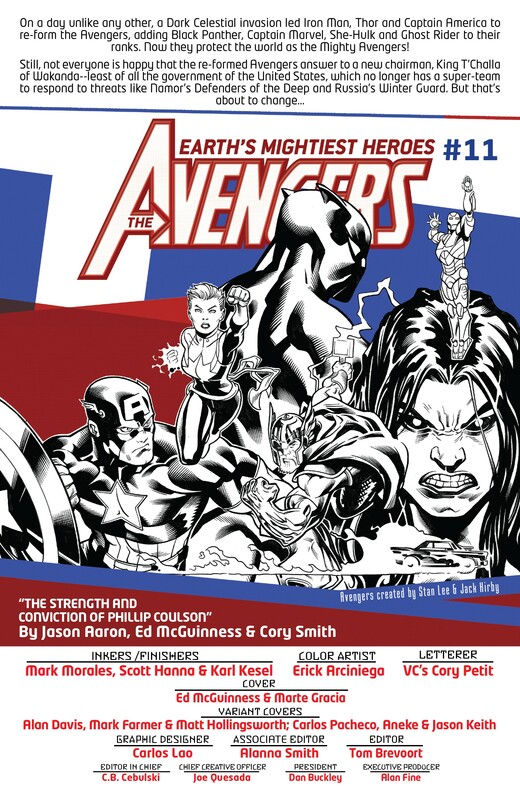 Marvel Comics Universe and Avengers #11 Spoilers and Review follows. Agents Of SHIELD Phil Coulson and His Squadron Supreme Of America Deadly Marvel Shake-Up! 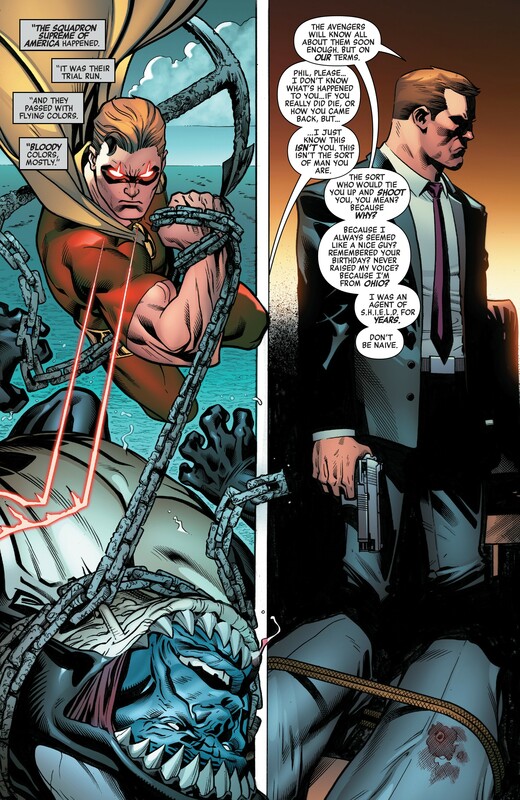 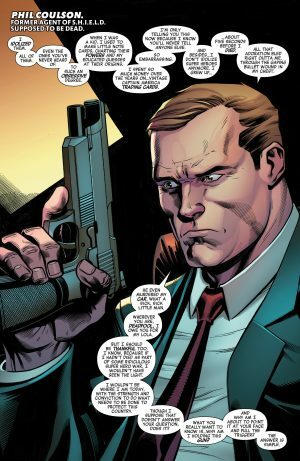 The opening image above is the reveal of the new SSA and return-from-the-dead of Agent Phil Coulson in Avengers #10 which also doubled as the legacy Avengers #700 (full spoilers here). 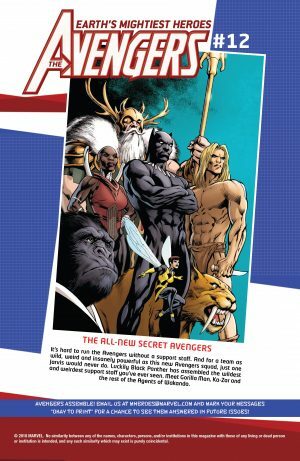 The United States Government backs them and no longer the Avengers! 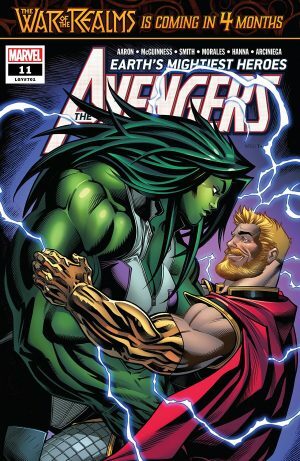 Anyhow, Avengers #11, whose cover is the second image from the top of this piece, opens up with the storyline catch-up page. 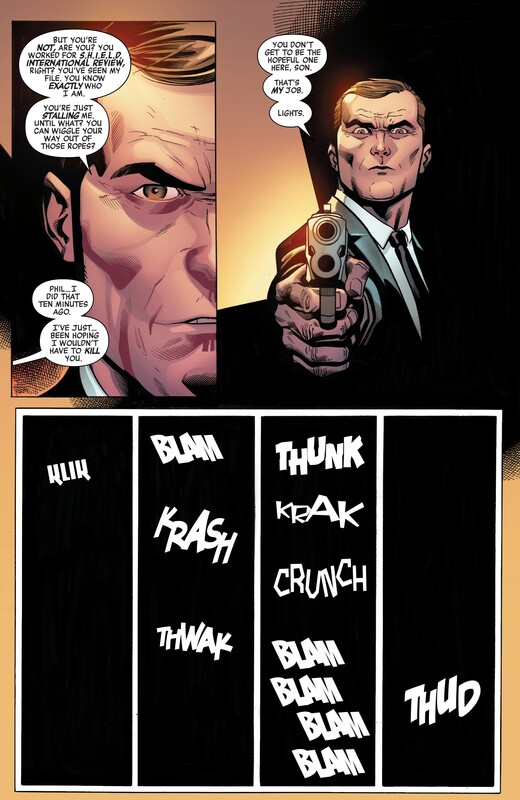 Then we meet Phil Coulson, a deadly Coulson, who is very anti-Avengers and seemingly has a hostage at gun-point. 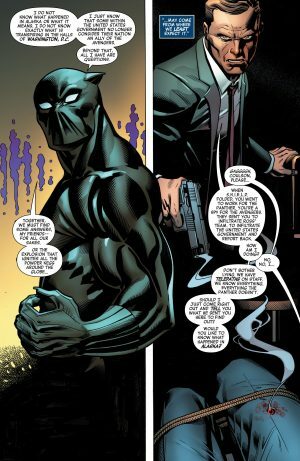 He explains that the hostage is effectively a traitor since supporting the Avengers led by the Black Panther. 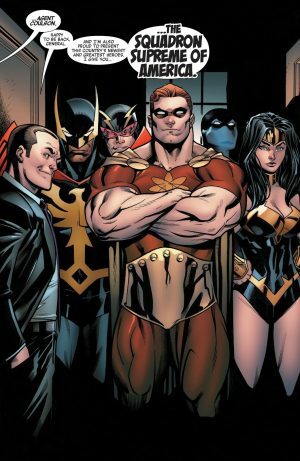 He also explains that the Squadron Supreme of America are the new protectors and heroes of the United States and not the Avengers. 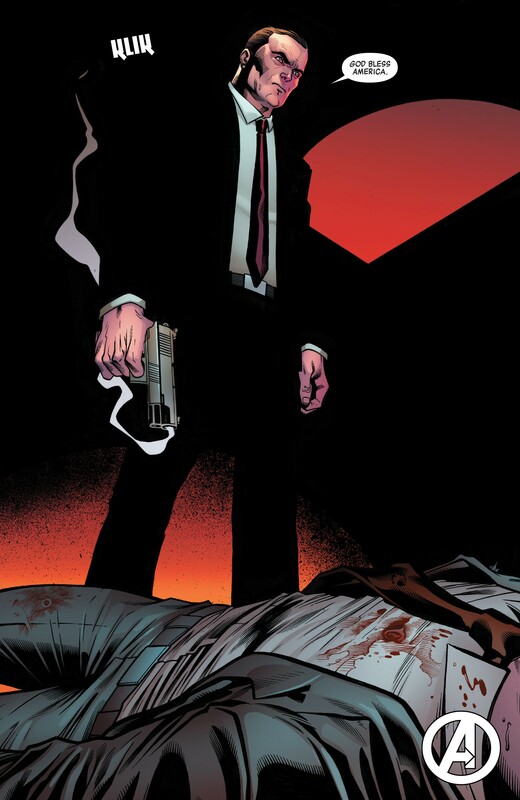 …being killed by Coulson simply for being aligned with the Avengers?! Avengers #11 isnot all grim since Thor and Hulk (no longer called She-Hulk) find love or lust. …I had thought it would be an Avengers 1,000,000 BC tale, but it appears not to be.